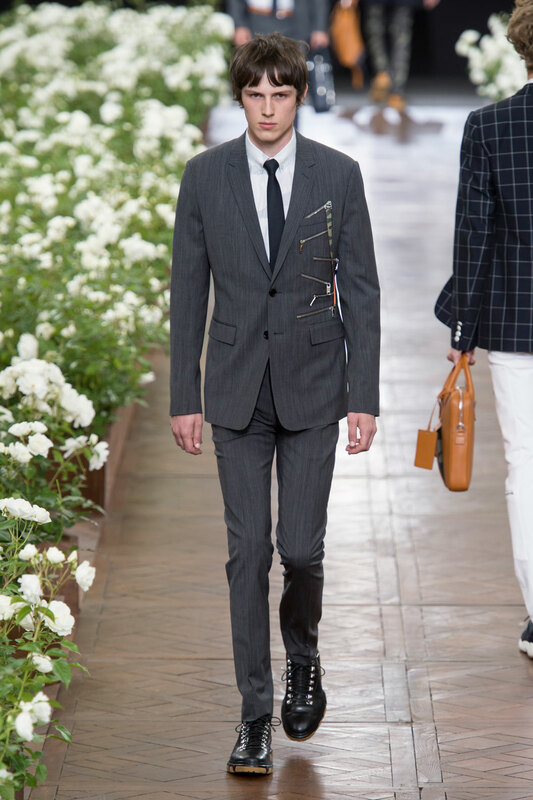 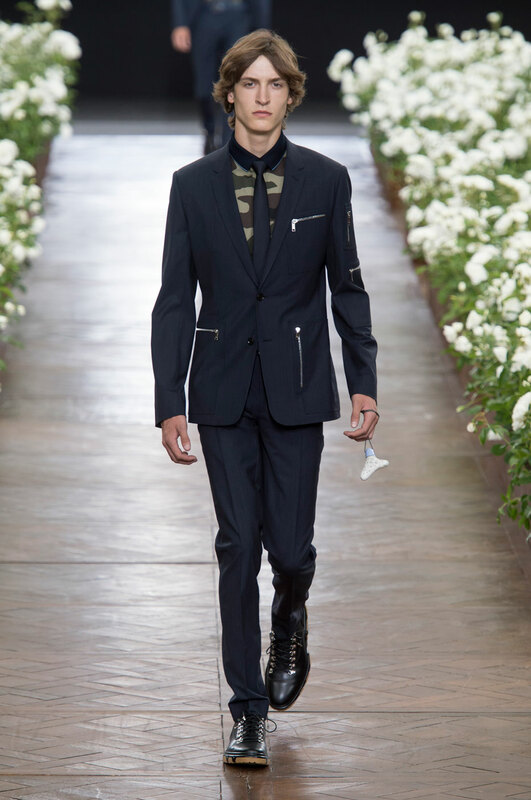 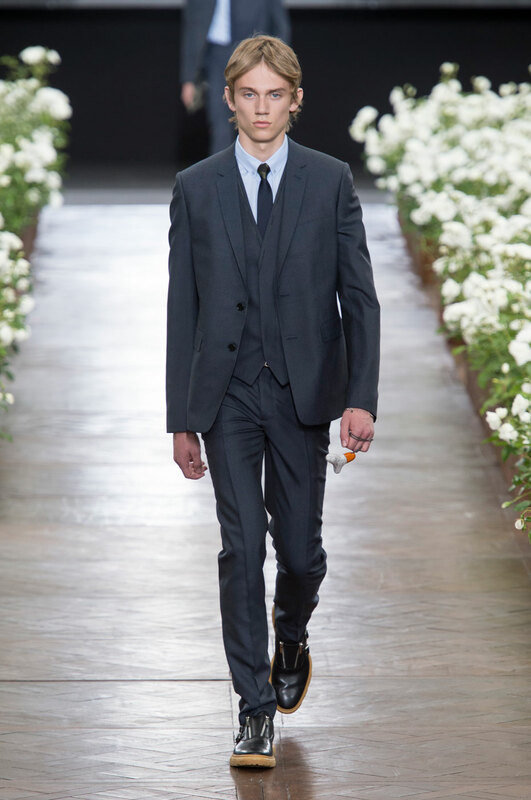 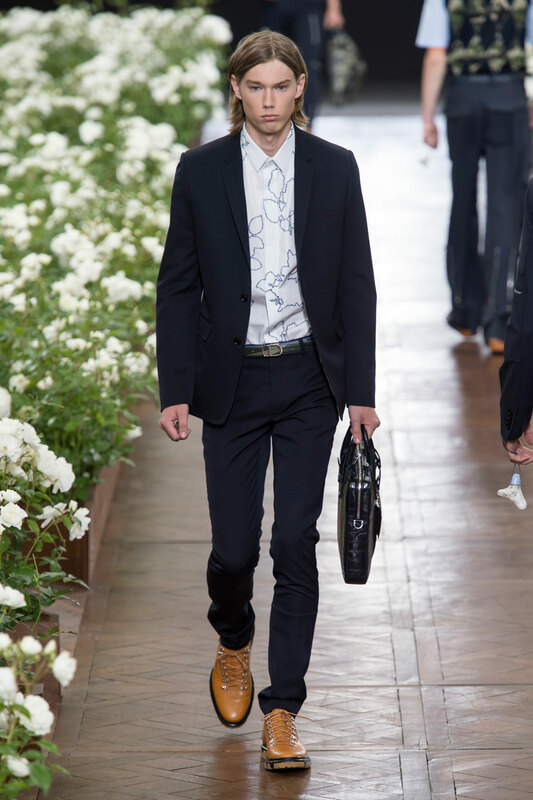 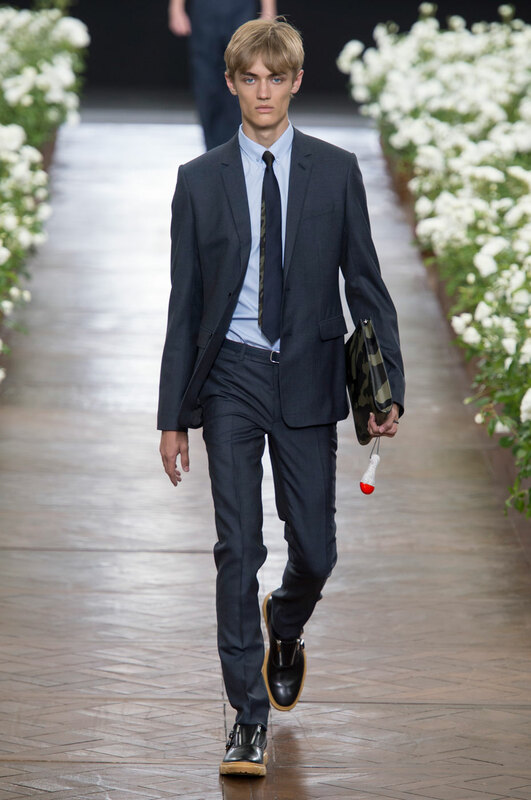 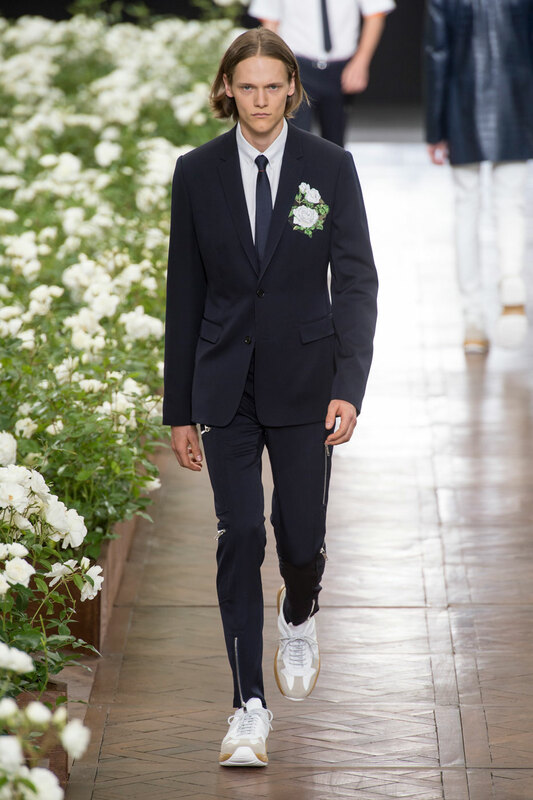 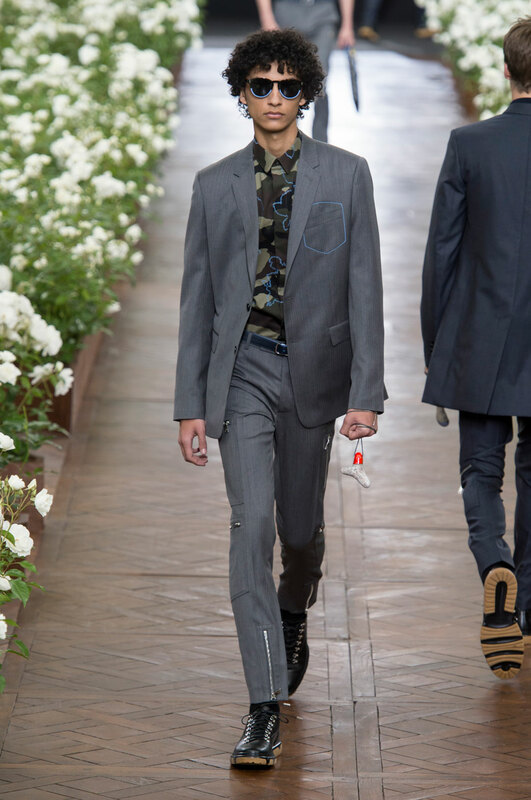 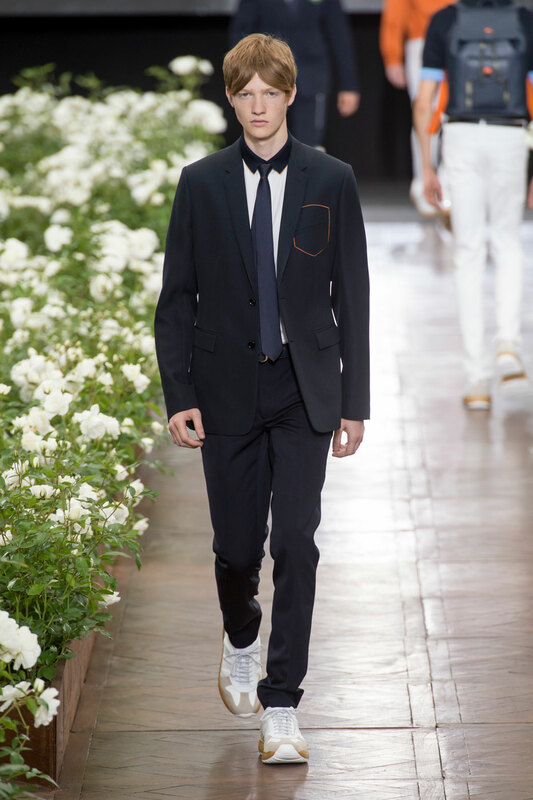 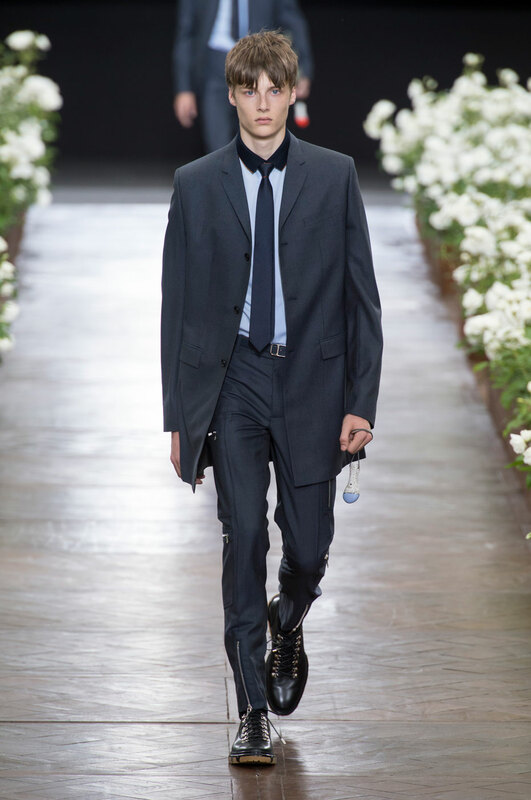 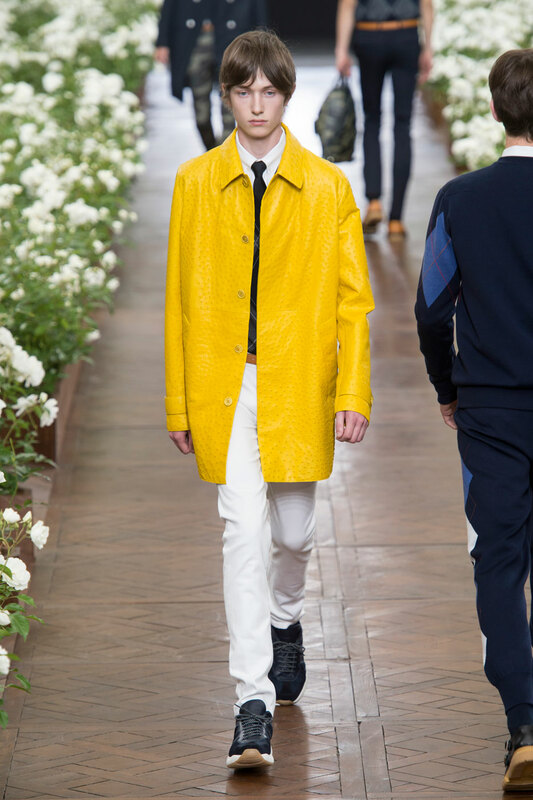 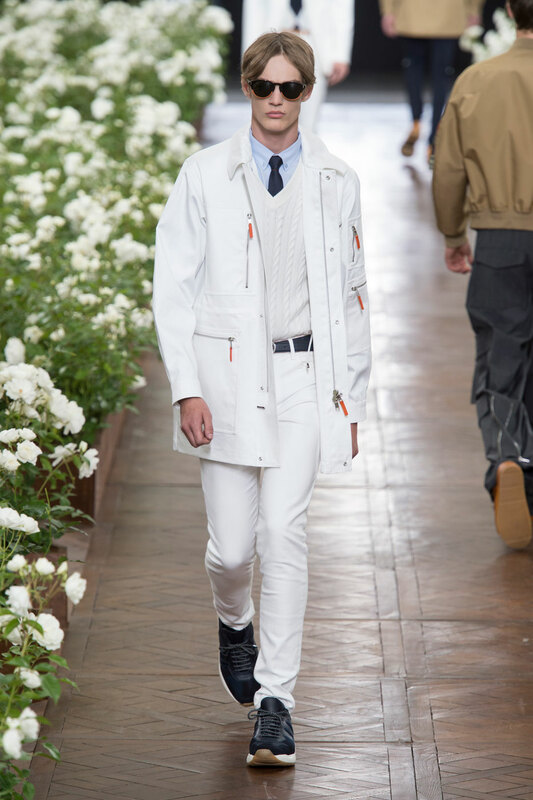 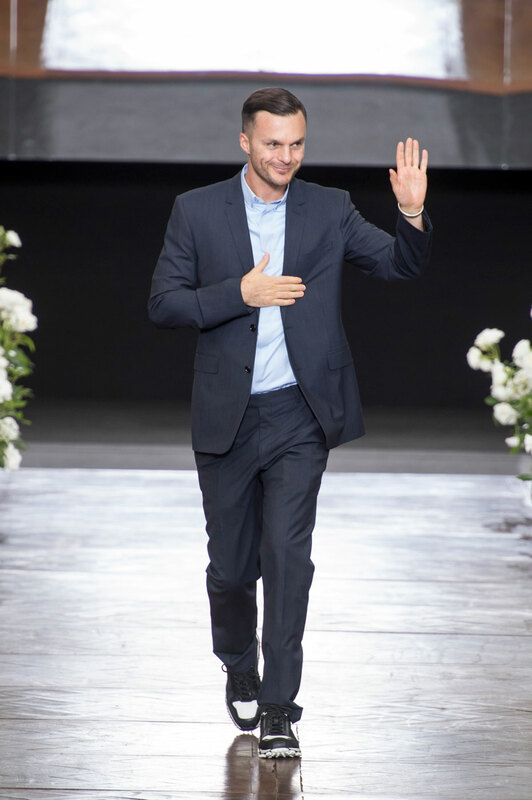 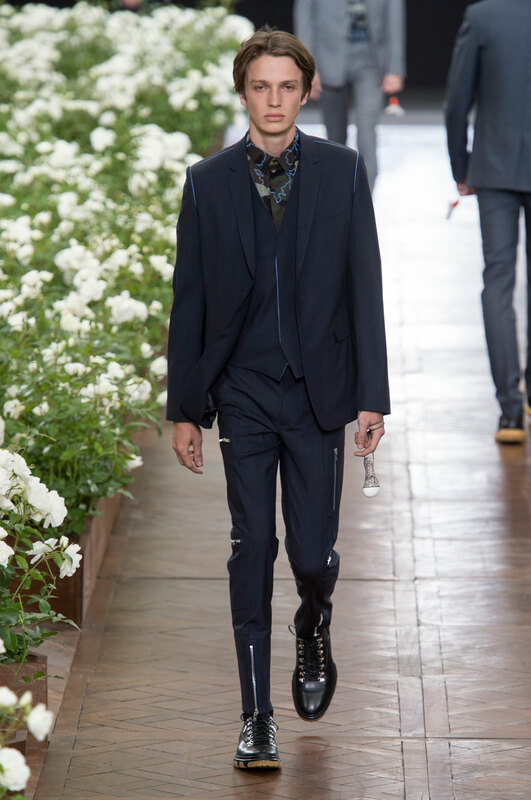 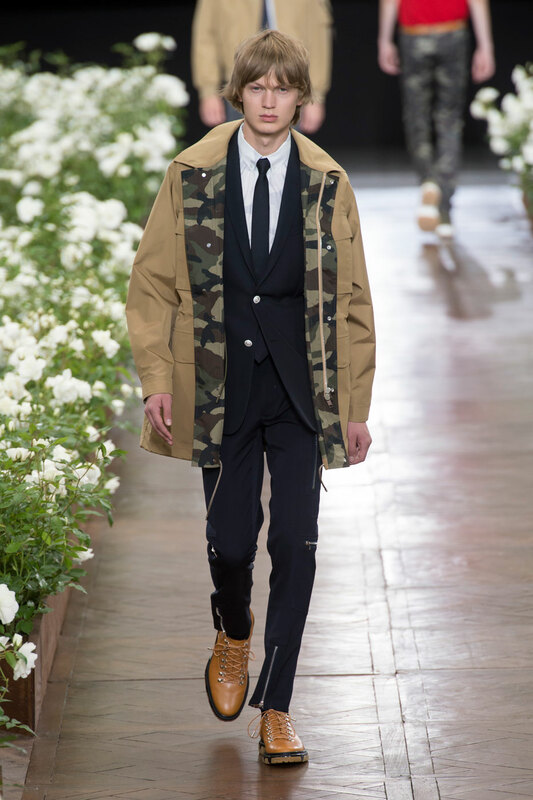 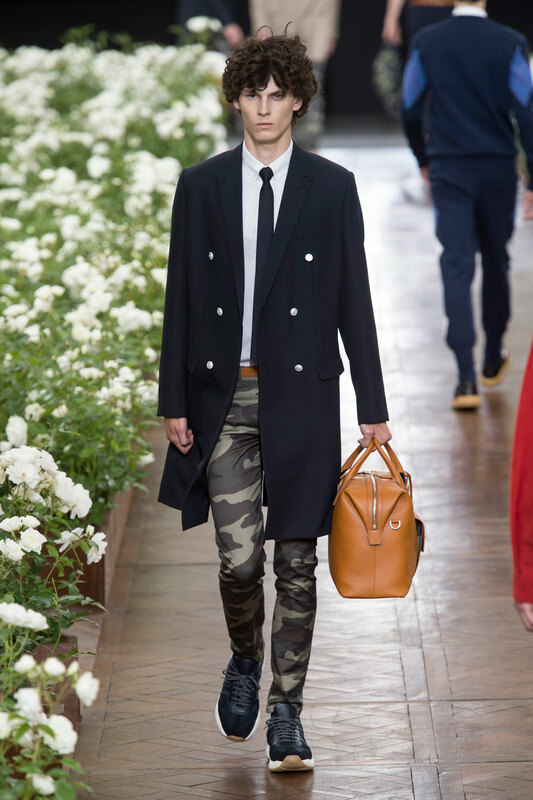 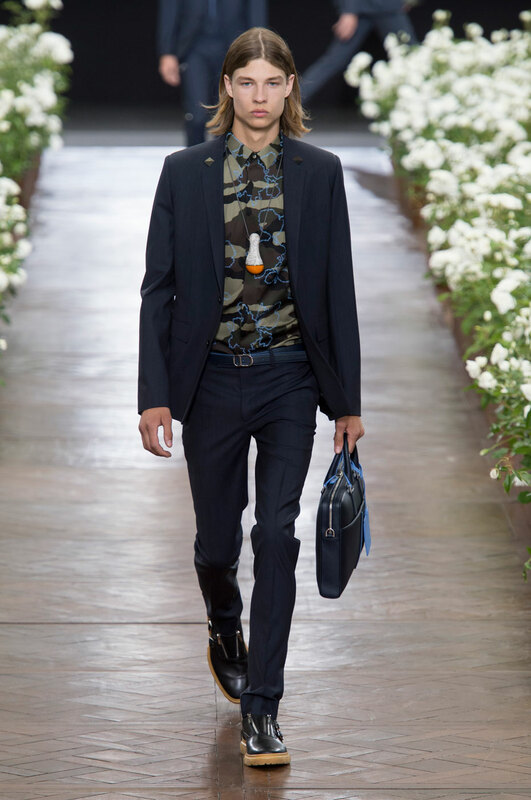 In typical Dior style the collection was elegant, chic and crisp. 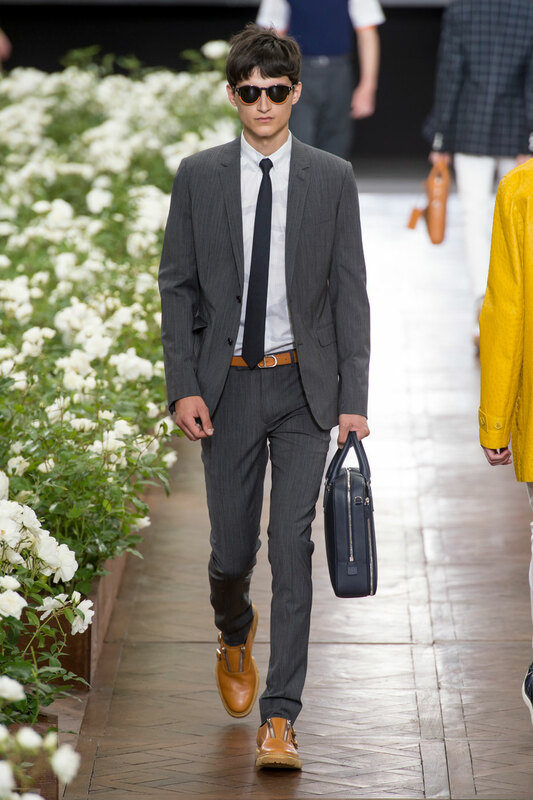 The entire collection was suitable for formal wear with suits being a recurring feature throughout; including classic three piece suits to simple shirt and tie combinations. 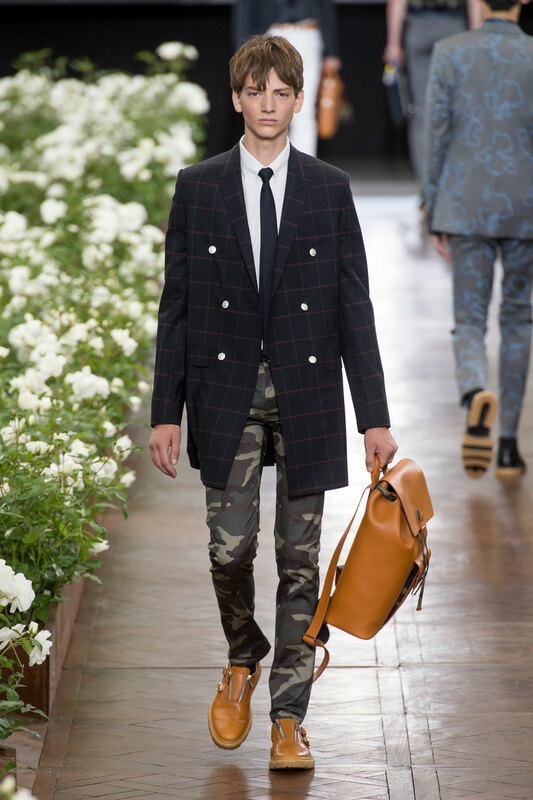 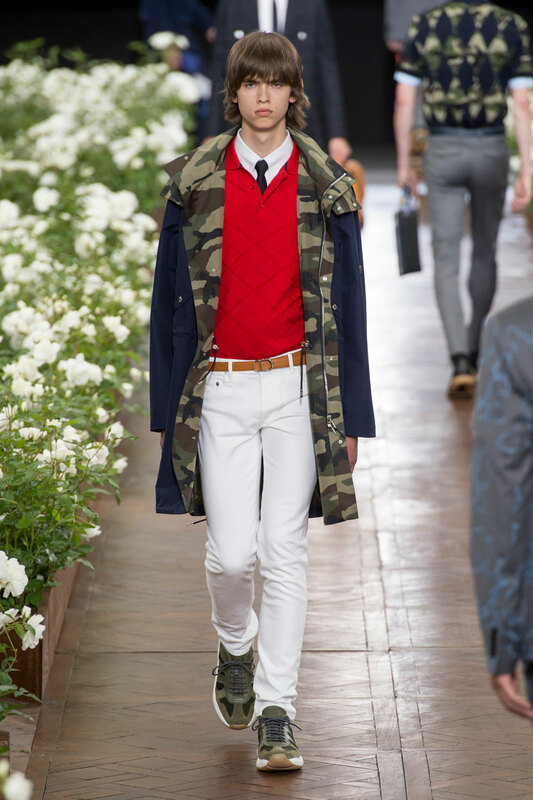 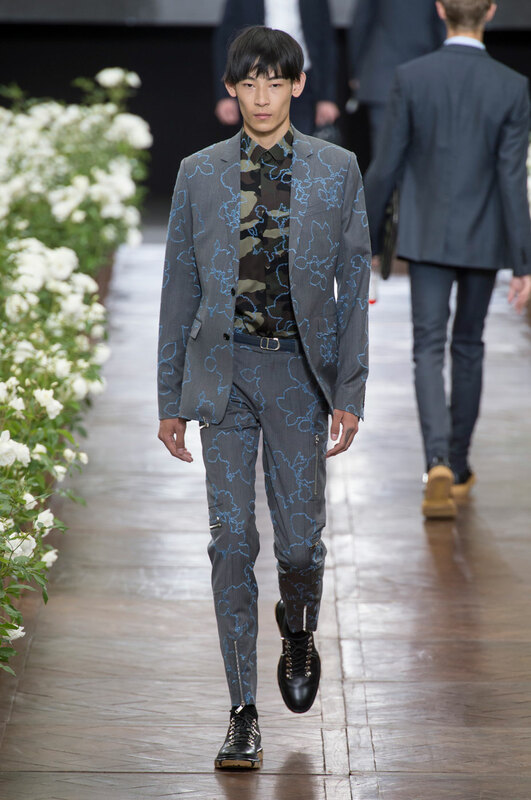 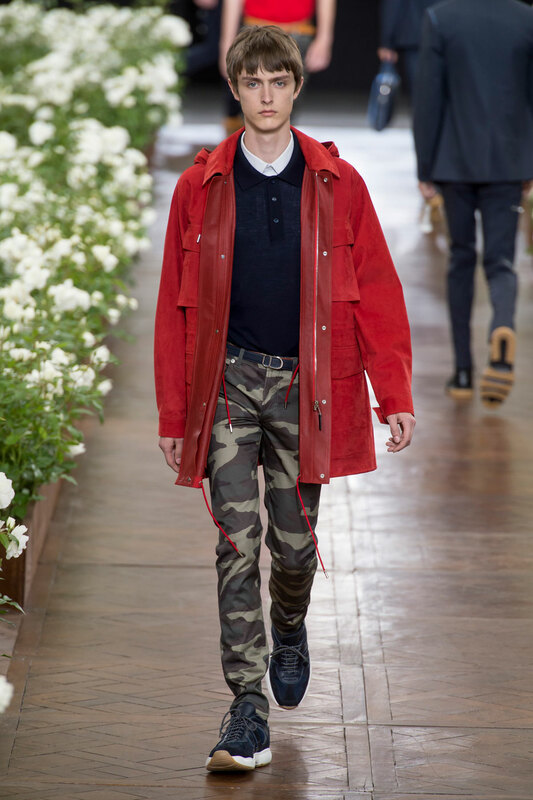 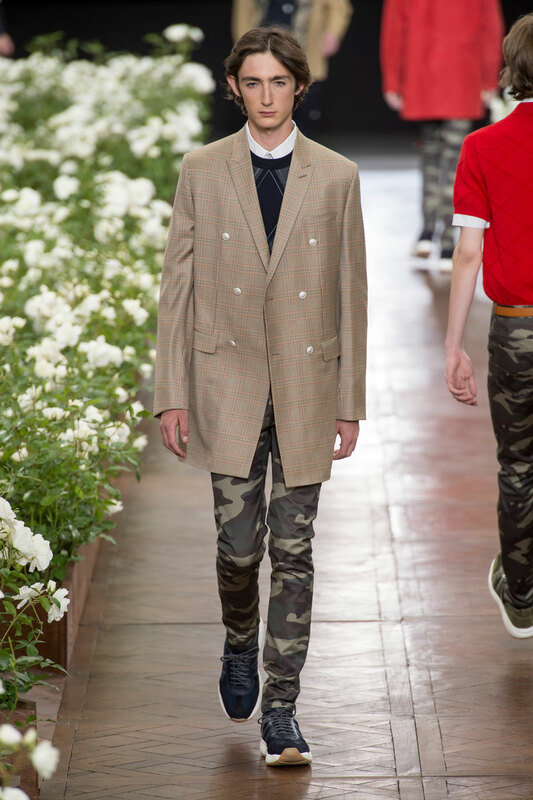 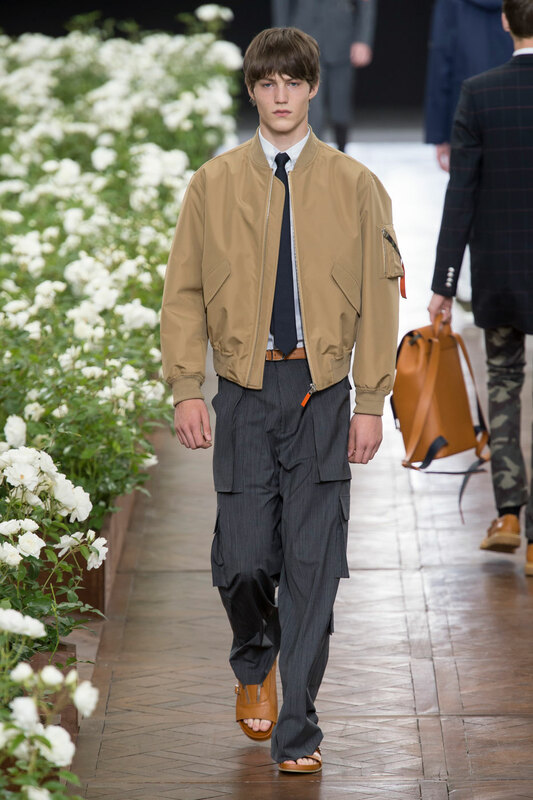 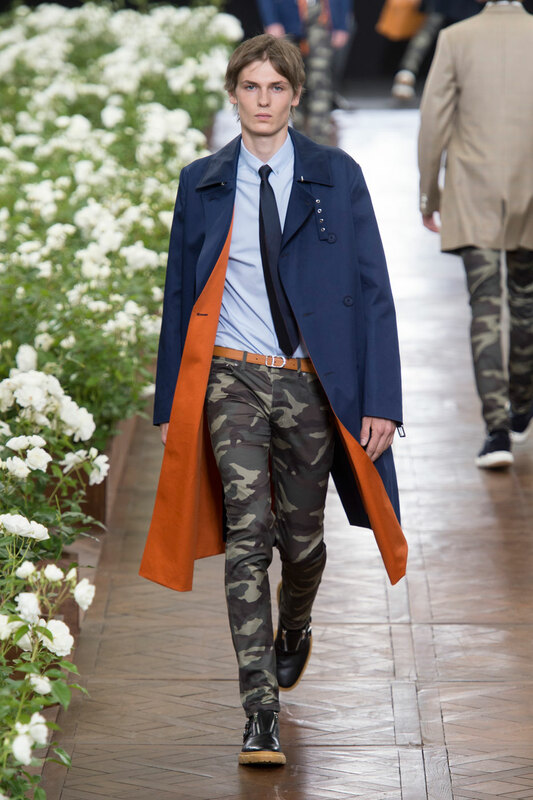 Simons does provide an alternative for the formal elements in the collection through his use of patterns and prints, which include traditional camouflage and an argyle pattern, which features on many of the garments. 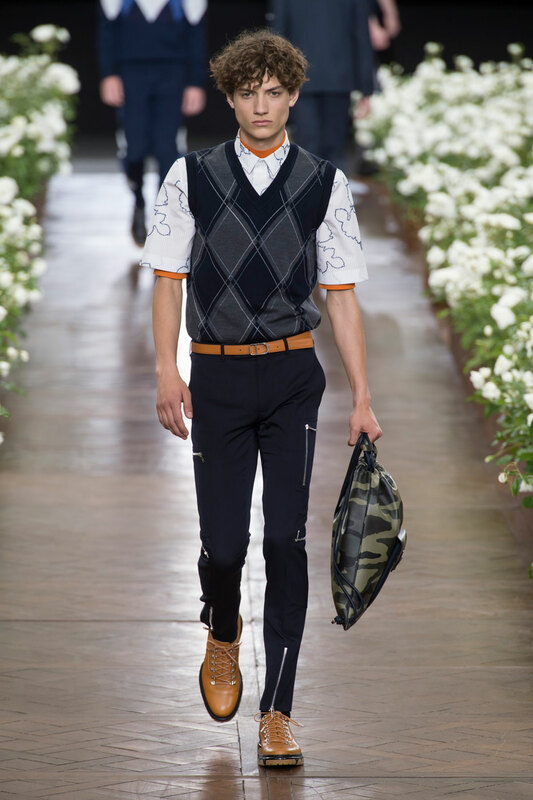 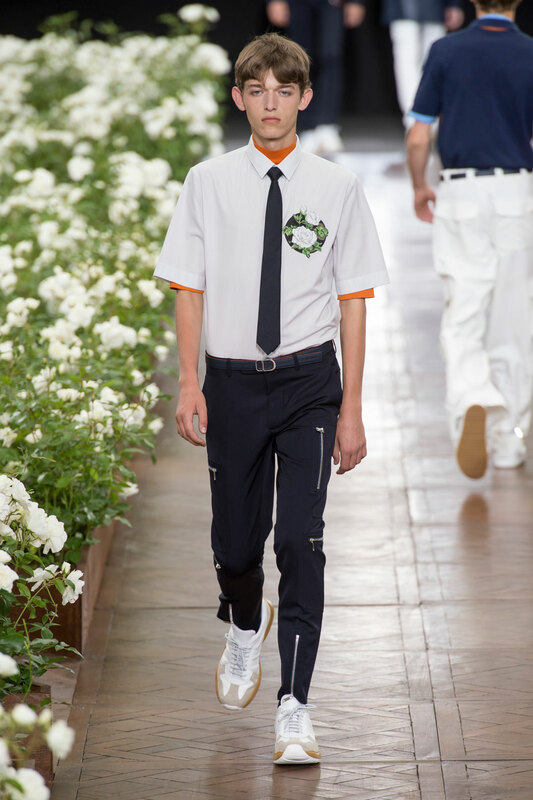 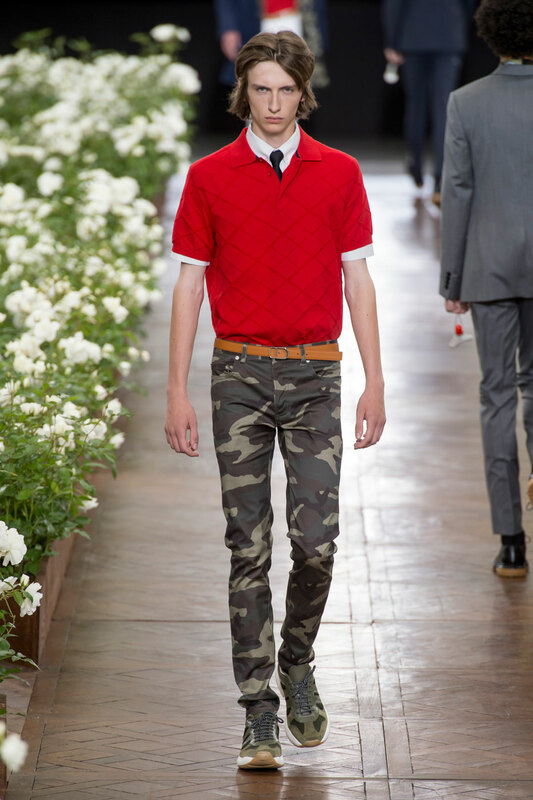 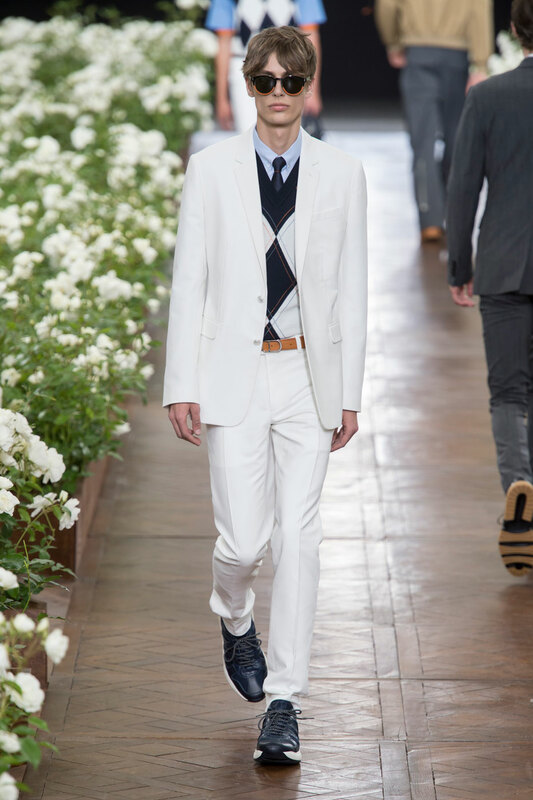 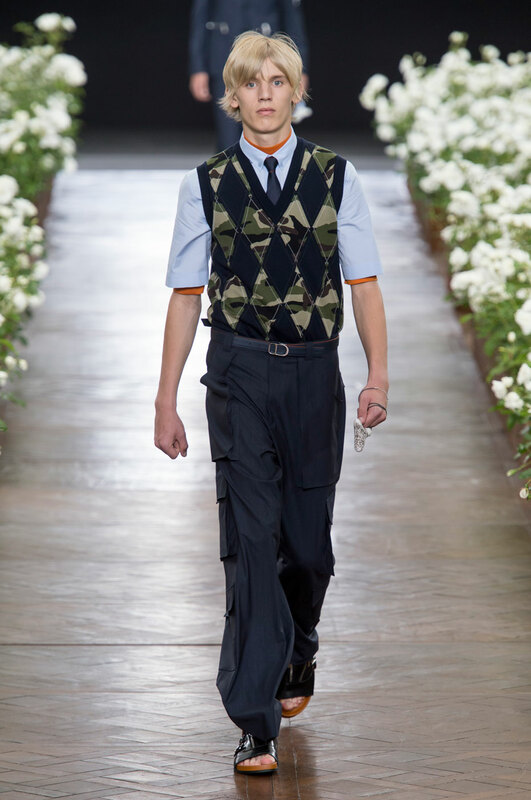 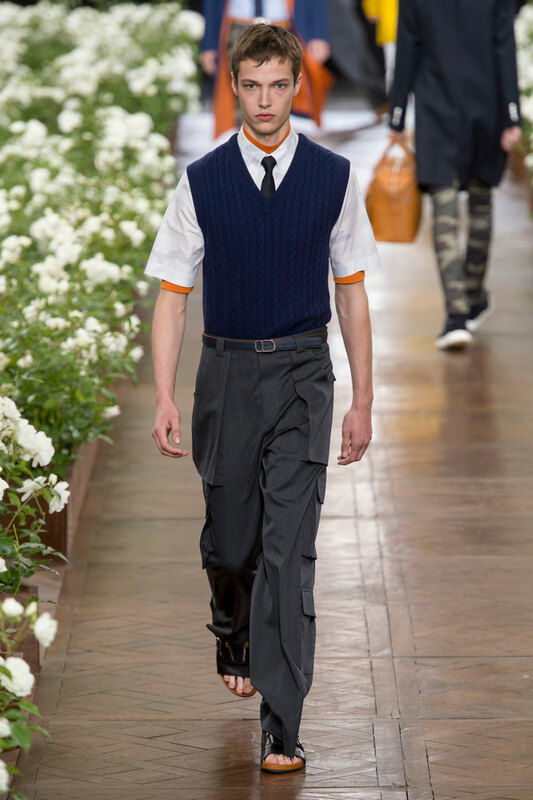 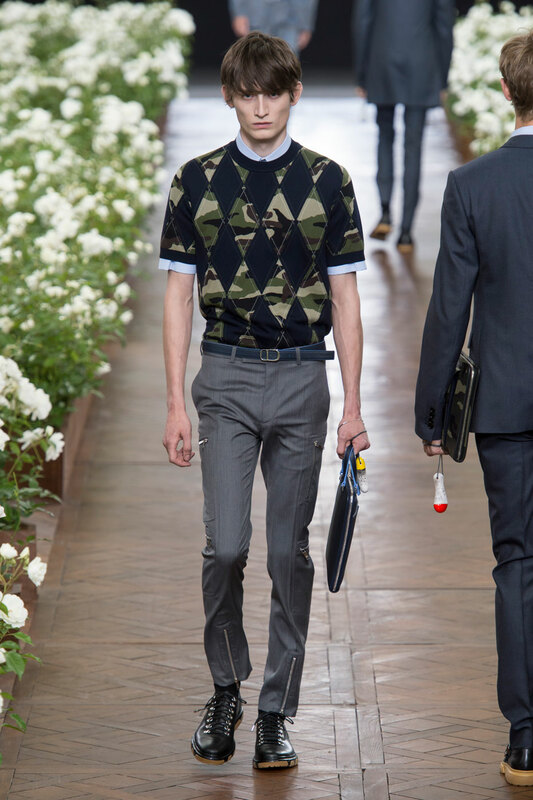 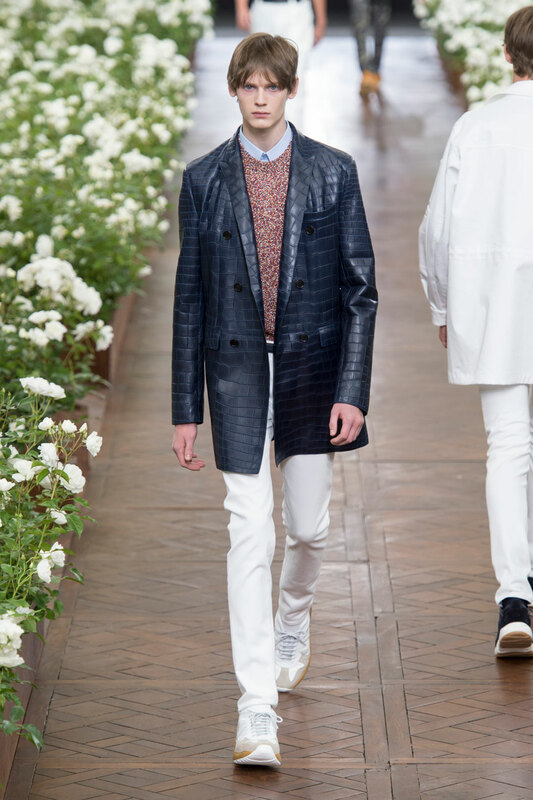 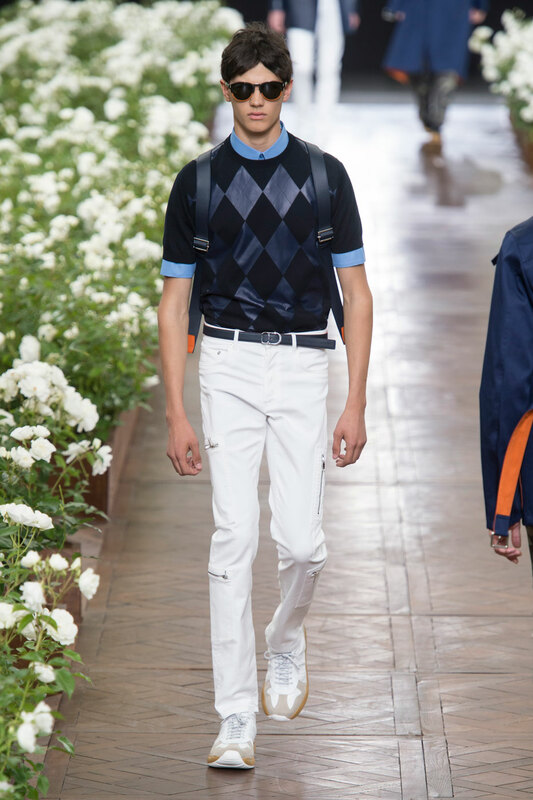 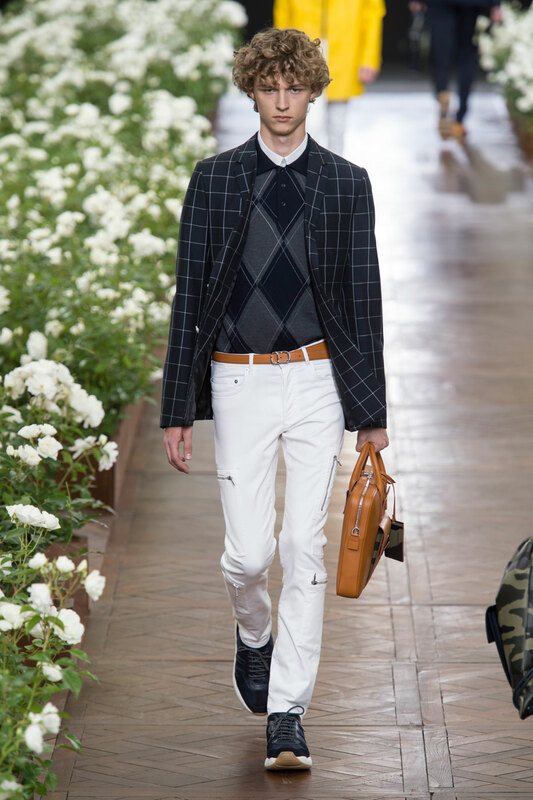 As already highlighted the collection is saturated with formal attire, however Simons does provide another element to the relaxed notion with his use of the argyle pattern printed onto the knit vests. 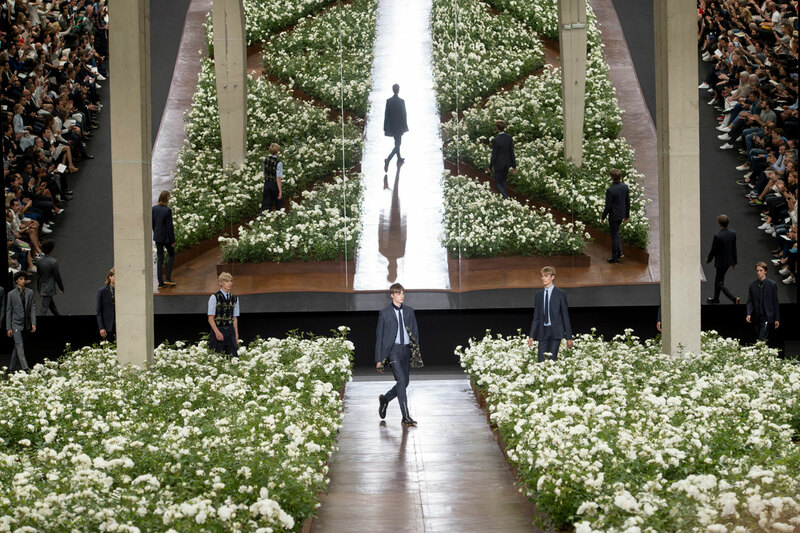 This arrangement gives references to a preppy or sporting aesthetic. 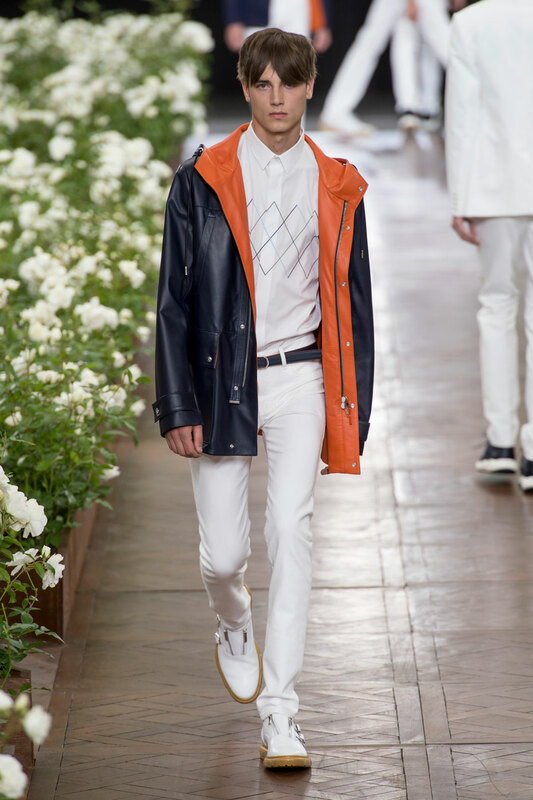 Another defining feature of the collection is the zip detailing that appears on many of the looks, in a variety of lengths and orientation. 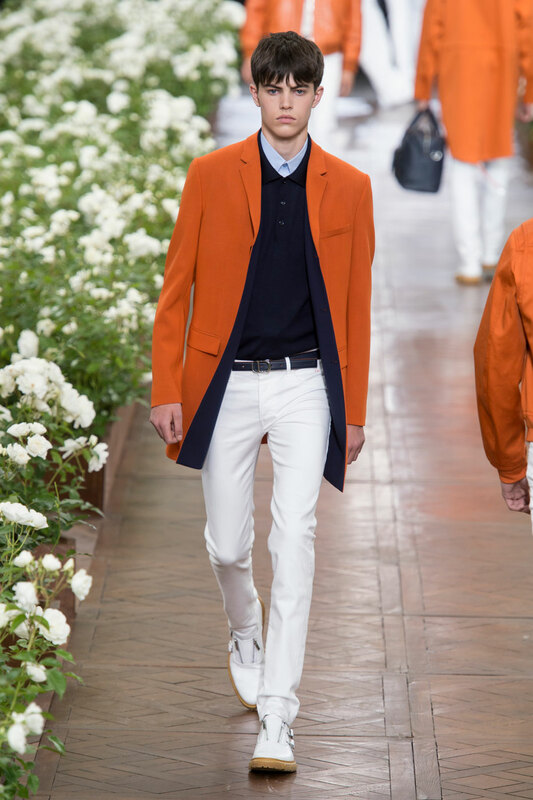 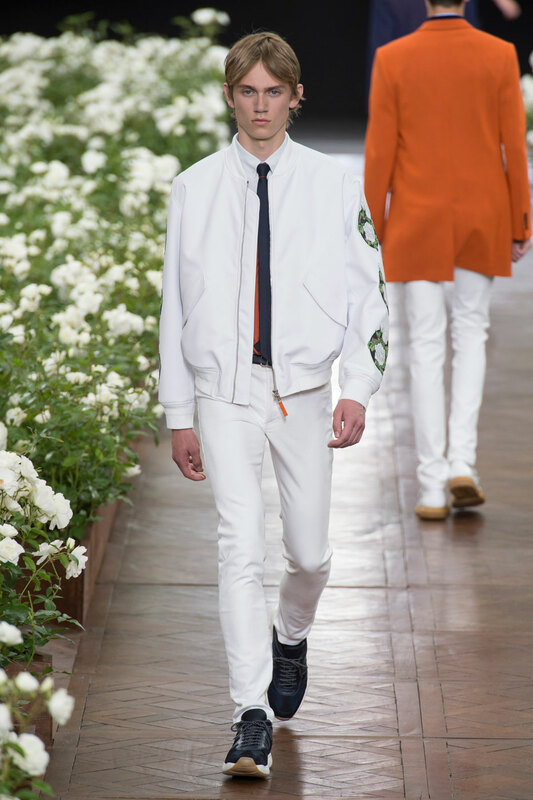 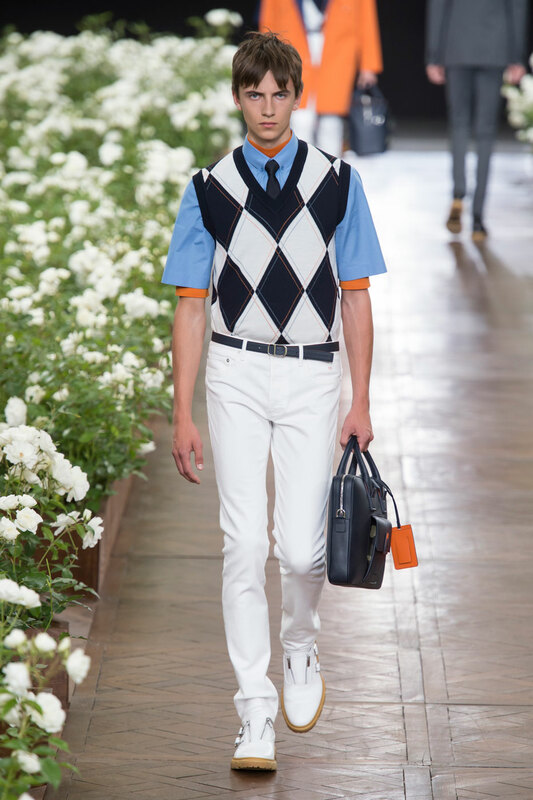 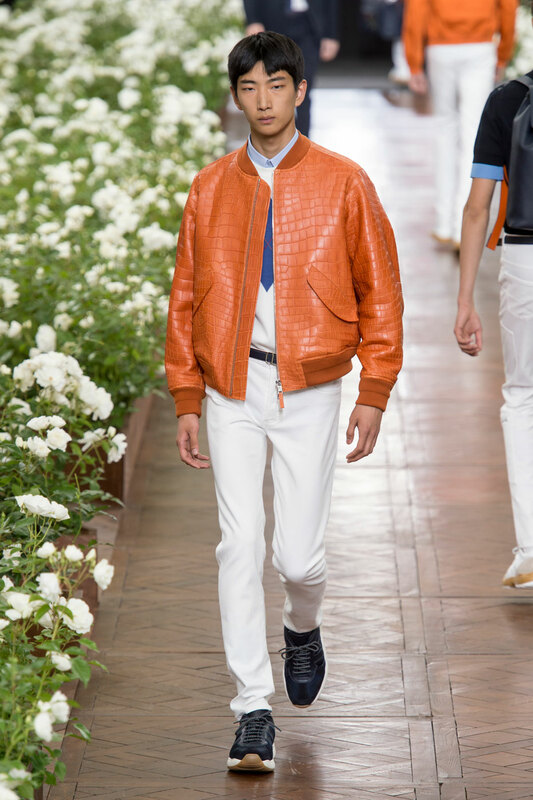 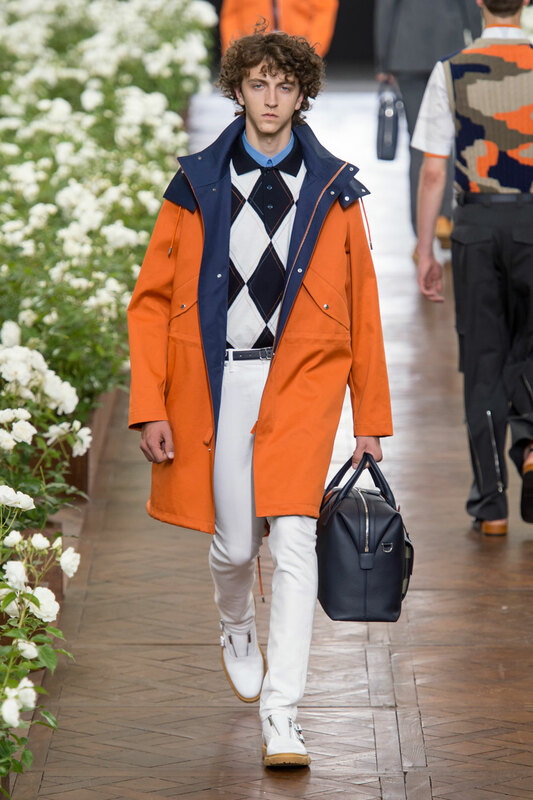 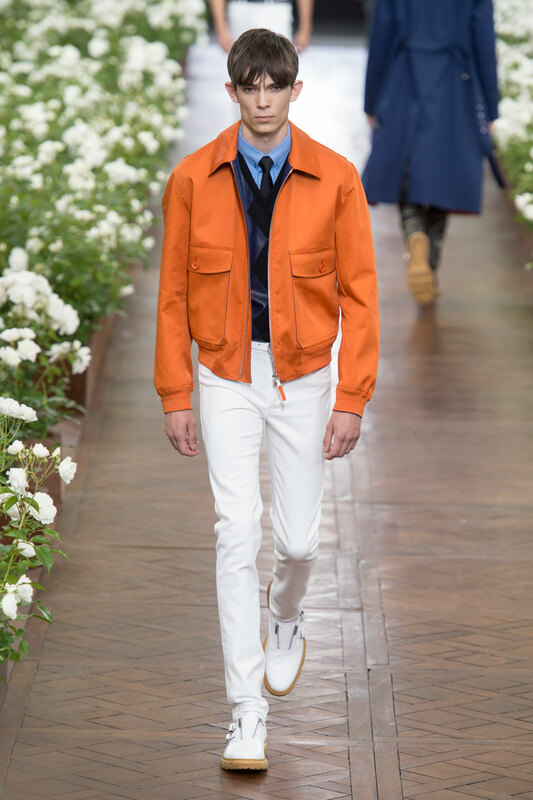 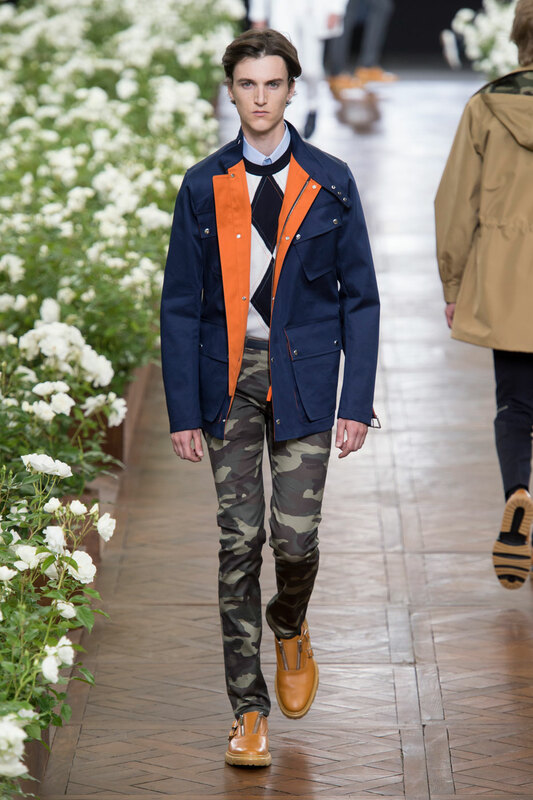 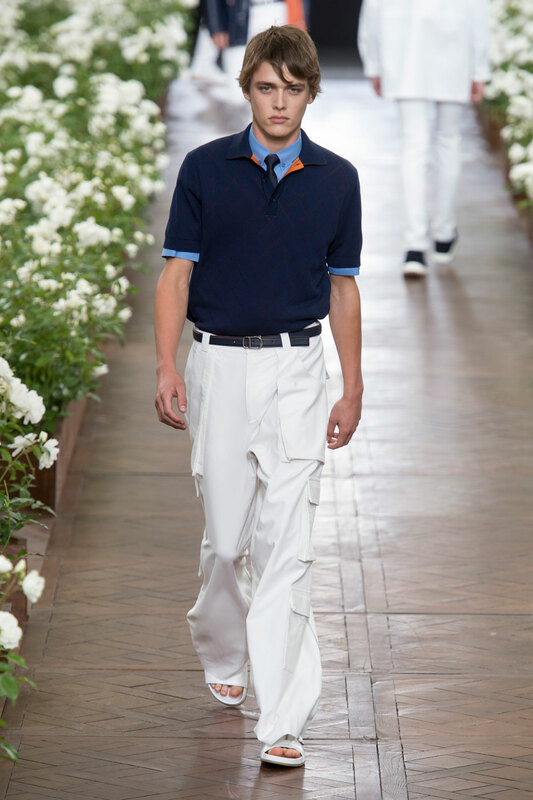 Simons has also favoured the clashing colour combination of blue and orange throughout this collection.